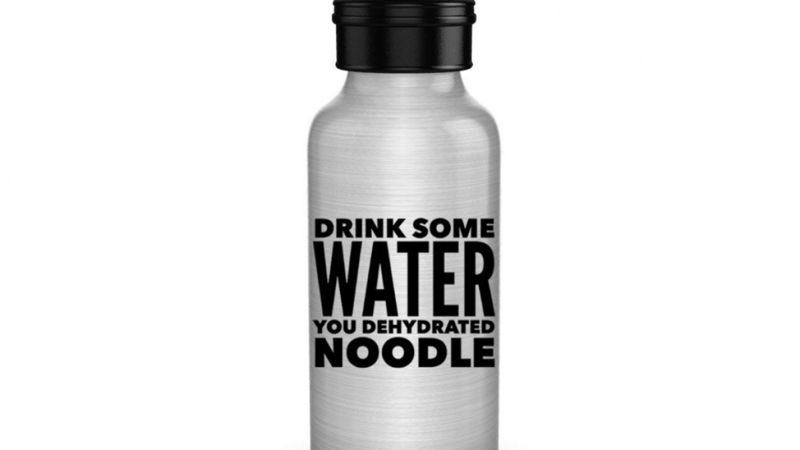 This funny motivational water bottle is perfect to use anytime you need water. Ensuring that you drink enough water is important and if you need a reminder then this bottle is sure to do the job. Put it on your desk or anywhere else it will be visible so that it can remind you to drink more water. Drinking enough water has many health benefits. A great gift idea for any fitness junkie because it is both useful and amusing. It's a great bottle for someone who will use it often because the printing process used means that the design will no fade. No matter how many times the bottle is washed it will still look crisp and clear. This is a great water bottle because it is durable and BPA free. It is made of aluminium and you can use it anywhere that you would usually use a water bottle. The bottle is designed to fit on or in most cup holders and drink bottle holders. This bottle is not just for holding water of course, you can fill it with juice or anything you like. The bottle itself is lightweight so it is perfect for hiking or carrying it to school. 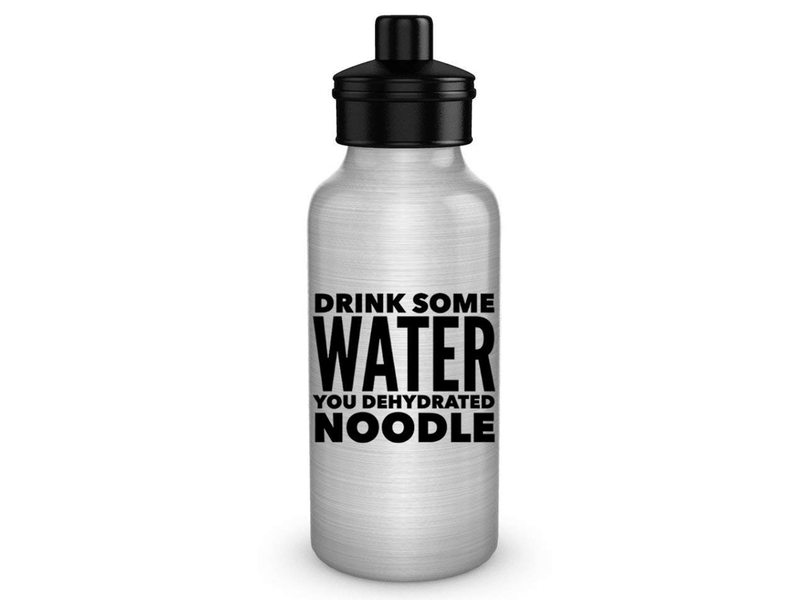 If you like this funny water bottle you may also like to check out the following cool items.